Stunning drops of luscious lapis lazuli dangle from my handmade fine and sterling silver earrings featuring silver scallop shells crafted individually from my own original molds. 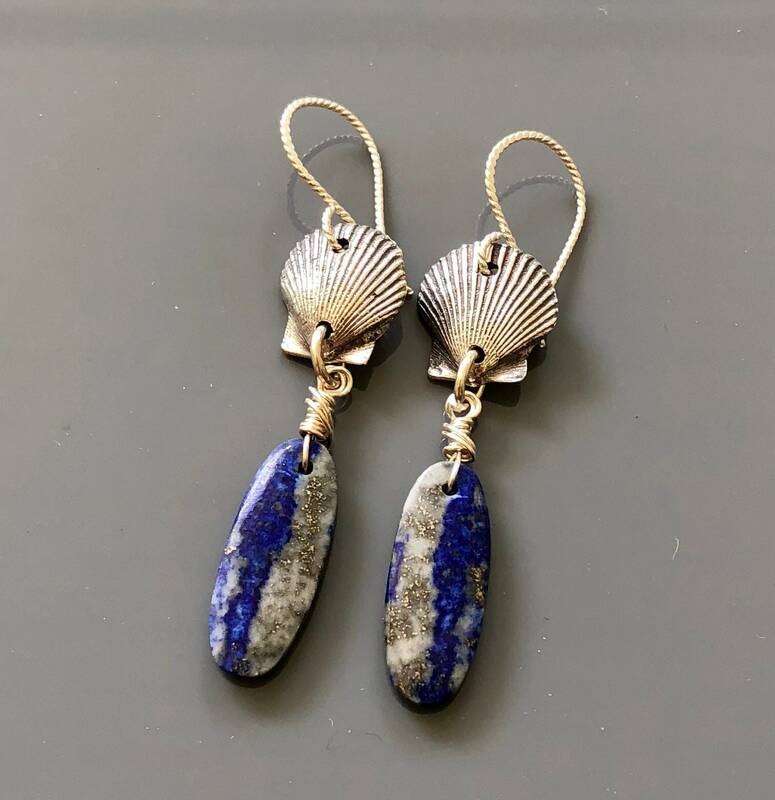 Attached to the lapis drops by wrapped sterling silver wire, each scallop shell is enhanced by my own handcrafted twisted sterling silver earwires. Measuring about 2-1/4 inches in length from the loop of the earwire, these earrings are lightweight, one of a kind and very special.